« Are You Living or Existing? 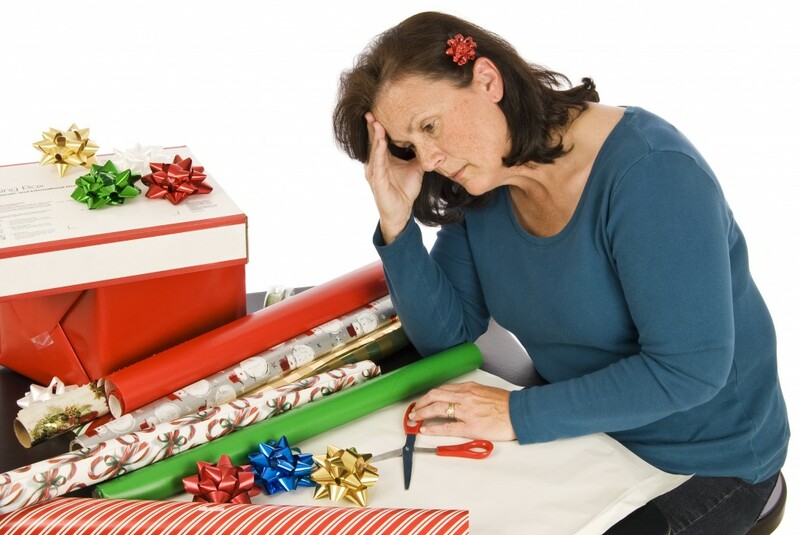 Is Lack of Energy Stealing Your Holiday Joy? What Is In Your Heart when you think about the Best Holiday Ever? Is it spending time with friends and family? Giving gifts people love? Serving a spectacular meal with amazing decor? Giving hugs and love to those who are lonely or less fortunate or maybe writing a family newsletter and cards and emails that really touch people’s hearts? Do you find instead you are spending more time in bed, in pain, at the doctor, worrying over your health rather than putting your real self into the holidays? What do you NEED in order to do those things you love? Some people might say money, others might say time, and many will say Energy. Are you one of the thousands of Americans who just don’t seem to have the physical or emotional energy to do what you love and really enjoy life? This article is for you! Let’s look at 4 things that ANYONE can do to have more physical and emotional energy and thus the best holiday ever…. when you feel good everything is better, Right? There are four things that rob us of energy. Poor nutrition (you knew I would say that). If you live on sugar and caffeine and carbohydrates and junk food you have poor nutrition. Emotional pain from broken relationships and loss. Being over-committed. If you don’t know what you really value you will say yes to the good instead of to the best. Poor planning. Think of life as a vacation. If you don’t plan your vacation you end up running out of gas and staying in bad hotels…no fun! When you crave sugary foods such as candy, cookies, cake, pie, eat a piece of fruit instead; apples and citrus are coming into season right now. Decide you will allow yourself some really special treats you look forward to each holiday season, but not every day and don’t over do! Go for the fruit. Add 1 raw veggie to lunch and 1 raw veggie to dinner. This could be a salad, carrots and celery with some hummus or ranch dressing, or a smoothie with a couple of handfuls of baby spinach. These foods will reduce inflammation, which robs you of energy. Drink water every hour. Make a deal with yourself. Before you drink any other beverage, drink a glass of water. 8 ounces of water is only 8 gulps so chug down a glass of water and then go for the other beverages. If you don’t like water try adding some fresh fruit slices to a pitcher of water, you’ll love it. I have 8 pennies on the ledge above my kitchen sink…this is the place I see the most. Maybe for you it’s your office desk or your bathroom counter, or your car. These pennies are my “counters” Each time I drink an 8 ounce glass of water I put a penny back in the penny jar. See? I’m keeping track of how much water I drink. It helps me to be more intentional because when I’m busy and for some reason, especially when I’m not working, I easily forget my water…one of the most important nutrients of my day. The busy holidays are full of food, but not usually full of nutrition. This is why many people actually GAIN 7 pounds over the Thanksgiving and Christmas holidays. Ugh. To make sure we get good nutrition during the holidays we supplement our healthy foods with our AIM dehydrated juice powders, The Garden Trio; young barley grass, carrot and beet juices and Cocoa LeafGreens; a green drink with three kinds of cocoa. These raw food juices give us 5 pounds of veggie nutrition in a glass of water and take about 30 seconds to make, drink and clean up…a simple way to Nourish Your Body. Give me a call for more info at 615-975-0186 or go to our website, http://mybusyhealthylife.com and on the products page look at The Garden Trio and Cocoa LeafGreens. Maybe you are worried about family feuds, distant or broken relationships or loss of relationship with a spouse, child, sibling, parent or friend. These worries and losses are like pulling the plug on the bathtub when it comes to your energy levles for life. A broken relationship literally creates a drag or drain of your physical energy. Bitterness, resentment and unforgiveness are the thieves of joy, which rob you of energy. This is a difficult area many of us struggle with. Our radio shows this month on Tuesday nights are all focused on helping you remove bitterness, resentment and unforgiveness from your life. You can listen on your radio on KITC FM 106.5 or you can listen on your computer at http://www.kitcfm.com/kitc-fm-106-5-live-radio/. Our radio guests this month all have amazing stories of great personal loss and how they were able to rid themselves of the energy thieves of bitterness, resentment and unforgiveness. Our guests will share their experiences of betrayal, rejection, sexual abuse and abandonment and how they are able to leave the pain of those events behind and live a joyful life. Check out the show topics and guests here: Finding Freedom in Forgiveness. I hope you will join us for these wonderful testimonies and programs. In the meantime I encourage you to listen to a free class, “Cleansing A Toxic Heart”; The Healing Session”. You can listen on your computer at Cleansing a Toxic Heart or on your phone by calling: 605-475-3219, access code: 667314#, Ref # 60. We do not charge for this class, however, your phone or computer provider may charge for time, etc. If you have unlimited long distance and minutes it should not cost you anything. Eating healthier foods and cleansing a toxic heart are simple but not necessarily easy. If you would like to have more energy this holiday season, put the above practices into play in your life. I specialize in helping women and their families restore energy, reverse aging and disease, reach a comfortable weight and rest well. If you are serious about increasing energy for the people and activities you love, I would like to offer you a free 15 minute consultation to help you simply increase your holiday energy in a matter of a few days. I only have 7 openings for this helpful session so if you are ready, set up your time ASAP! To be chosen for a Free 15 minute “Energize Me Strategy Session”, send me an email and put “Energize Me Strategy Session” in the subject line and I’ll get back to you with appointment times. I look forward to talking with you!